This was our 9th year hosting the Luton’s Best Awards. It is by far our most popular event attracting more than 30 sponsors. Over the years we have refreshed and introduced new categories which were all very successful especially the People’s Choice Award. This is run by The Luton News where people can vote from all the shortlisted candidates. We had over 30,000 votes this year. The event aims to honour the outstanding achievements of many of Luton’s individuals, groups and organisations. These people are often unsung heroes who willingly give up their time to help others and contribute to our community. 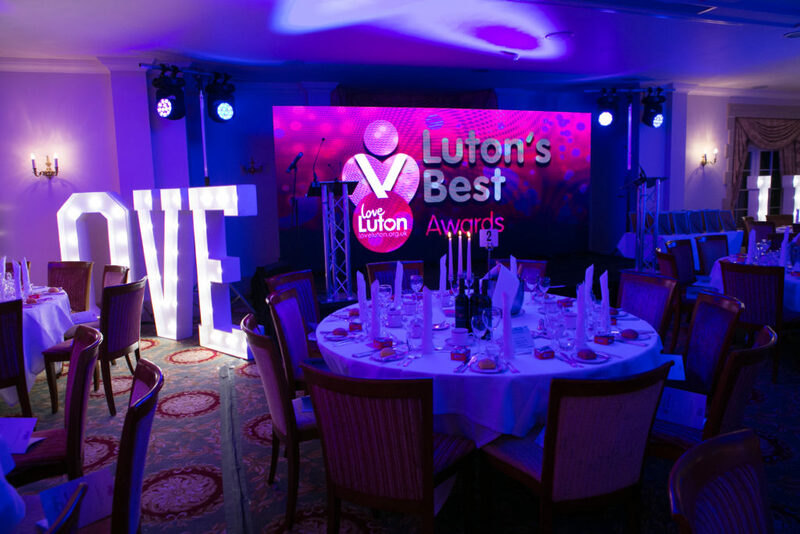 The Luton’s Best Awards is our way to thank these people for their outstanding efforts. 2019 we will celebrate our 10 year anniversary of Luton’s Best. The campaign will officially launch at our summer reception on Thursday 4th July 2019 with the awards ceremony being held on Friday 29th November 2019. It promises to be our biggest event to date and we encourage any businesses interested in being part of this event to sign up early to avoid disappointment. To nominate someone for an award, please click on the desired category you wish to choose and then click on the ‘Apply Now’ button. 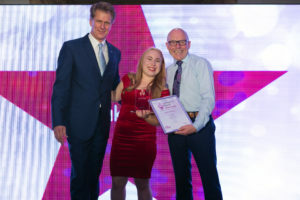 This award will seek to recognise an outstanding effort and levels of achievement by a young person aged 20 or under, either in their school lives, work lives, in a sporting context or within the wider community. 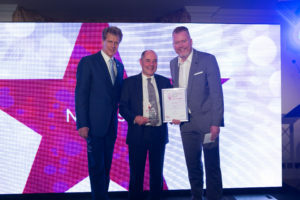 This award will seek to recognise an individual over the age of 21 who continues to achieve great things at work, in their profession, through arts and culture, in the field of education, sport, or a hobby or pastime. 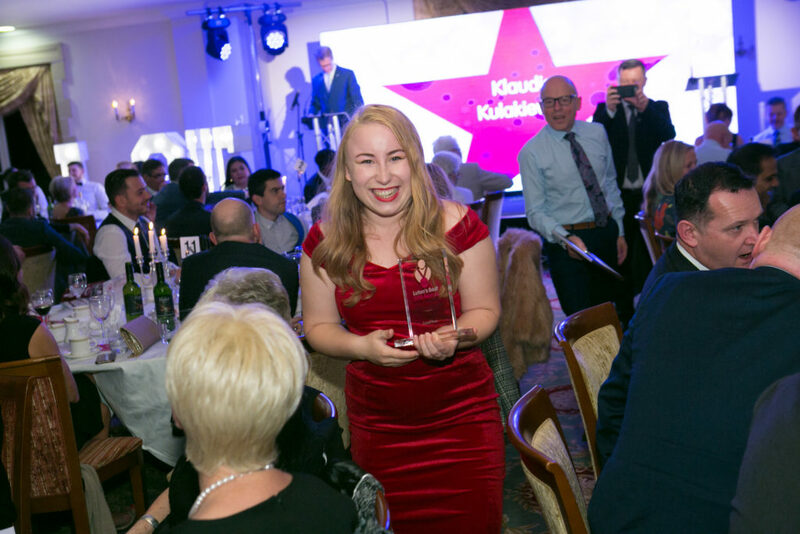 This award is looking for an individual or team employed either in the public, private or voluntary sector that goes above and beyond when it comes to customer service. Their effort and enthusiasm should have a positive effect on its customers and the business/organisation. Judges will seek to recognise any young person up to the age of 18 who has put themselves in danger to help or save the life of another or has battled against the odds and has overcome adversity in their personal life or made a stand to improve the lot of themselves or others. This award is for an individual or group from either a professional or voluntary capacity. Those eligible include relatives (including children), friends, doctors, nurses or care workers who care for someone or a group of people. We are looking for an individual or group who have really gone that extra mile to care for our most vulnerable often showing incredible patience and understanding. Judges are looking for those who have cared for others sometimes over many years without giving thought to themselves. 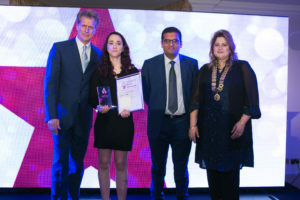 An award to an individual or organisation demonstrating a commitment to enhancing and protecting our environment or a heritage site, introducing environmentally sustainable products or services and, in doing so, make a contribution to Luton’s environment or conservation areas. Examples could include an environmental community project; a school initiative involving children and parents or improving a conservation area to kick-start regeneration. 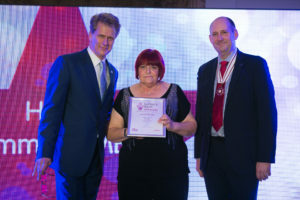 This award will recognise a volunteer(s) of any age who has made an outstanding contribution through giving up their own time to volunteer to help others, charities or initiatives across the town. We ask that entries are for individuals still active in their role but you can list all activities they have taken part in prior to 2016/2017. 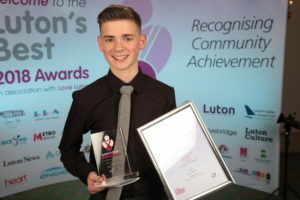 An individual of any age working for an organisation or studying in the town who has shown a commitment and involvement with the local community and can demonstrate excellence in business which in turn enhances the image of the business community and Luton, locally or on a wider scale or someone who has provided superior service to business and the community as a whole. 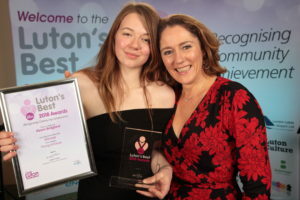 To recognise a local woman’s outstanding achievements in promoting Luton as a town to be proud of. The judges will be looking for examples of how the work has helped to gain positive local and national media coverage for the town and where their work has significantly contributed to the overall positive image to visitors and those living outside of their town as well as significantly improving the lives of local people. Specific examples could be given to those who have made a valuable contribution to the Love Luton campaign or the Luton Investment Framework. The judges will be looking to award an individual or organisation which has excelled and inspired either as a professional or amateur in the areas of sport, arts, leisure, culture and heritage. The individual or organisation will need to demonstrate the support, commitment and success they have provided to the development and promotion of these areas within the boundaries of Luton. We are looking for an individual over the age of 18 who is a true sporting inspiration who has either excelled at their sport and/or helped others and is a positive role model. The entry should include: A sports man or woman who has excelled in their chosen sport, rankings and achievements made during the eligibility period must be given, have demonstrated considerable commitment, are an inspiration and positive role model to others, have used their achievements and experiences to make a positive impact on their community and/or club and special qualities that set them apart from others. The readers of the Luton News and Herald & Post will have the opportunity to pick the winner they feel is most deserving. On the week of 30th October the newspaper will announce the shortlisted candidates. You will have until Thursday 23rd November to pick your worthy winner. You can do this by clicking here. 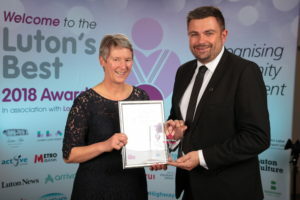 This award seeks to recognise an outstanding citizen of any age group or walk of life who has shown loyalty and support to the town, or promoted and enhanced our reputation locally and nationally. For example this person could be a member of the business community, sporting, or community sector, anyone who has benefited the people of Luton, this could be in a professional capacity, volunteering or local charity work. It could be a neighbour a relative or anyone who, in your view, typifies the very best of Luton. This will be a highly contested award that seeks to recognise Luton’s Most Outstanding Citizen in 2018. The Teaching Award provides a unique opportunity for us to celebrate those who, tirelessly and often selflessly, dedicate their lives to securing a future for the next generation. 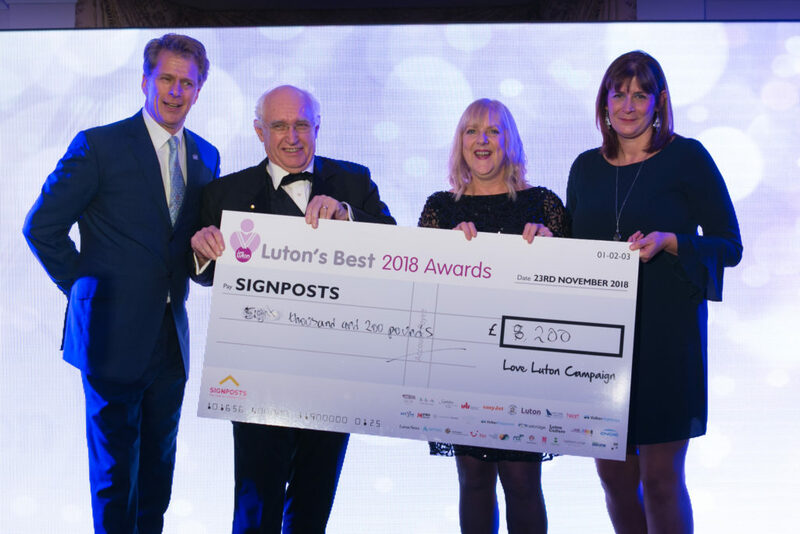 The judges are looking for entries from students, parents and peers across Luton who feel their teacher deserves to be thanked and rewarded for their contributions. The person will still need to be teaching within the years 2016/2017. Judges will be looking to recognise a community based or environmental project which has been initiated by local authorities, charities, community groups, schools or others. The project must demonstrate a tangible community benefit, whether it be the establishment of a new service or a substantial improvement to previously available facilities and services. The project should have been completed within the last 18 to 24 months. To recognise an individual whose achievements have been far-reaching in the community. 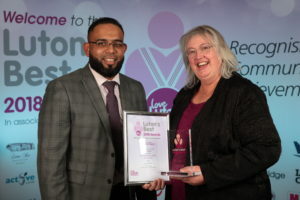 Examples can include a volunteer who has given up their time for many years, a local carer or a business person who has given many years to improving the lives of people in Luton. 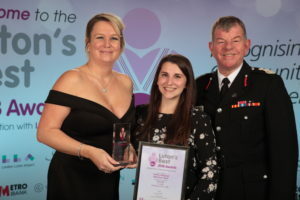 The judges will be looking for individual members of the public or groups who have put themselves at risk and acted with bravery and courage to help save the life or protect the well being of another. This could include tackling crime, disorder or anti social behaviour. Another example could include individuals or groups which have made a positive community contribution in terms of improving the environment they live or work which improves the safety of others. 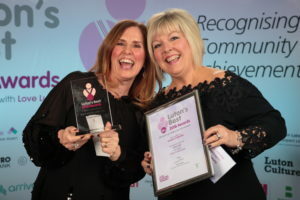 This award will recognise a tireless charity fundraiser(s) of any age who has made an outstanding contribution either through their fundraising initiatives, voluntary work or other support. We ask that entries are for individuals still active in their role but you can list all activities they have taken part in prior to 2017/2018. 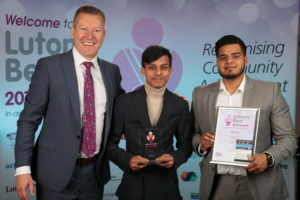 An individual or organisation who has proactively promoted community cohesion and celebrated diversity in the town through their initiatives which have helped to improve the public image of Luton.